The Elite Style 8 Foot Flat Bench has generous seating and an exclusive design that features slatted seating for a striking appearance and providing cool seating comfort. Surrounded by your favorite flowers the bench is an enhancement to any garden. 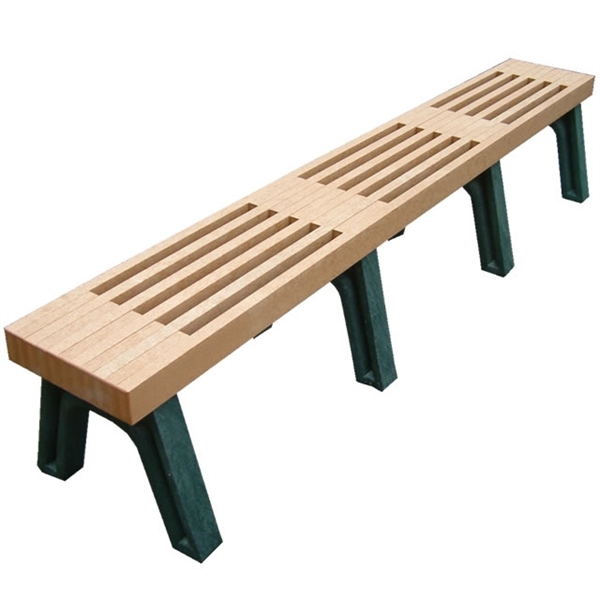 The appearance of the Elite collection allows this bench to add that special touch you are looking for. 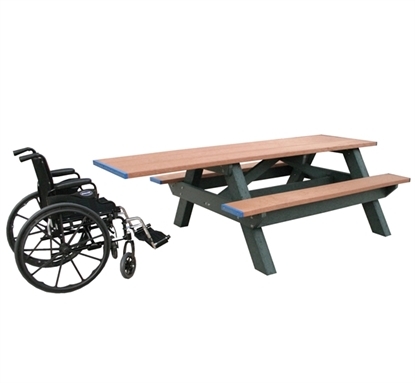 The 100% recycled plastic lumber construction is held together using stainless steel fasteners making it durable and maintenance-free. It will not rust or need paint. The recycled plastic lumber with rich, bold colors molded-in is available for this product in our full spectrum of offered colors which make them a complimentary and attractive application. The Elite flat is a great alternative for many settings. In a mall setting this bench has the style and grace to accent any area. In a locker room or shower area the slatted surface does not collect water.